I spotted this beautiful butterfly this past weekend at Jackson Miles Abbott Wetland Refuge. I am pretty sure that it is a Question Mark butterfly (Polygonia interrogationis), judging from the pattern of its wing spots. 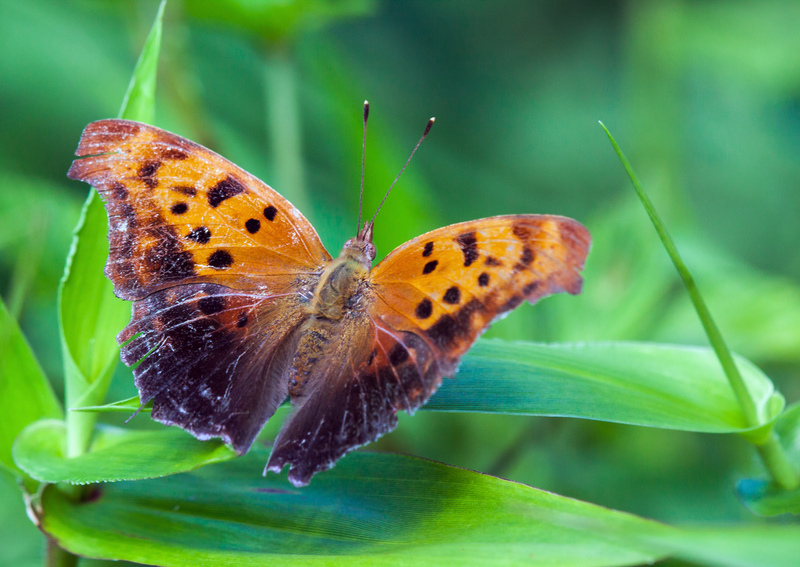 While I may not be absolutely certain that it is a Question Mark butterfly, its beauty is unquestionable. That is very pretty. I don’t recall ever seeing a butterfly like that. A real beauty and lovely image!